YouVR Inc., a leader of immersive digital solutions for space and a member of the Born2Global Centre, announces that it has been invited to participate in the Plug and Play Corporate Innovation Platform this year. The program has networked over 200 industry-leading corporations in various sectors (ex. real estate, IoT, construction, etc.) and startup companies since 2010 and has raised over $7 billion in funding for its communities. With more than 15 construction companies vouching for YouVR, the rising leader of digital VR space was a clear favorite amongst a highly competitive pool of entrants. Industry giants sponsoring the participants of Plug and Play include global leaders such as the Wanda Group, Fannie Mae, and Shimizu Corporation - all with the mission to help new businesses construct strategic relationships with major corporate customers and partners. Today, PropTech - technology addressing real estate and property issues - has grown rapidly, especially in the area of immersive 3D technology. 3D virtual tours have caught up with both the hardware and software, to provide greater access to understanding our physical space. The implications this technology has for the interior, architecture & construction, retail and education industries are immense on both the social and financial level. YouVR's specialization in image processing technology make it specially equipped to tackle the problems of today and provide an industry specific space-digital solution for the market. While such a solution was previously cost prohibitive, the technology available today has made it an accessible solution for just about anyone. 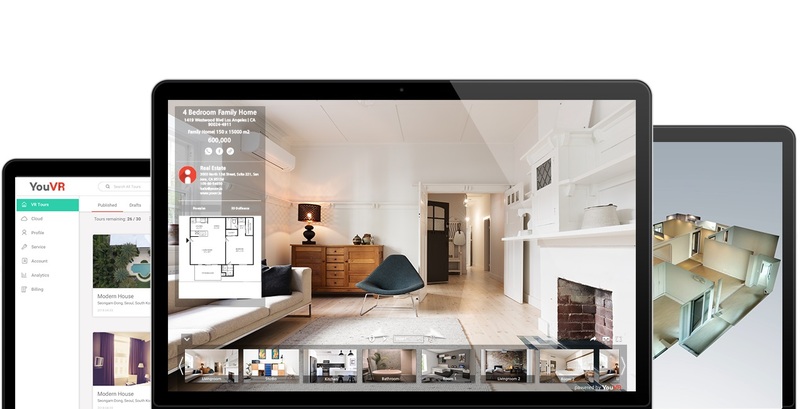 "We are thrilled to participate in Plug and Play Corporate Innovation, and to be selected by leading companies in the real estate/construction industry," says Ken Kim, CEO of YouVR. "Our innovative 3D processing techniques will be essential in the PropTech industry. We are looking forward to building strong partnerships with potential clients, and growing into a world-class PropTech company." Plug and Play Corporate Innovation Platform will go on for 10 weeks. In June, an expo will be held to conclude the program. For more detailed information on YouVR, please visit http://global.youvr.io/.